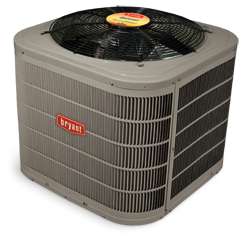 The Bryant Evolution System Heat Pump is a superb product that has impressive silence, heating efficiency, and cooling efficiency ratings and is one of the more reliable options offered by Bryant Evolution systems. 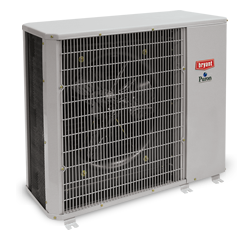 The Bryant Evolution System Heat Pump has a number of features which set is apart from a number of other heat pump options that are available in a similar range to this one. There are several reasons why this may be considered the better option, such as the high level of efficiency that it provides and the impressive degree of silence with which the system operates. In addition the creators of the Bryant Evolution System Heat Pump have gone a long way to ensure that the system is a silent as possible and operates at maximum efficiency at all times to provide even heating throughout your home or office building. The refrigerant used in this product is known as Puron® refrigerant, and is of state of the art technological advancements, meaning that this all-important part of your heat pump is guaranteed to be efficient. The heat pump provides up to 19 SEER and 9.0 HSPF. These are the ratings used to determine cooling and heating efficiency. The higher the rating the more efficient the unit is. These are very high ratings indeed. An important aspect of a heat pump is that you need it to provide even temperatures throughout your home in order to achieve the maximum level of comfort possible. The Bryant Evolution System Heat Pump provides this with no problem. In addition the system has enhanced diagnostics with Evolution control, which means that your ability to monitor and control the system is very high. 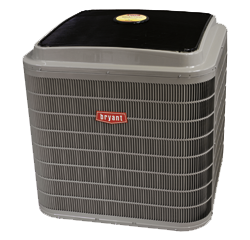 Because the durability of your system is a very important aspect to consider, the Bryant Evolution System Heat Pump comes with the DuraGuard Plus system to protect your unit for many years to come. In summary the heat pump is aimed specifically at creating a comfortable environment for you with the minimum amount of effort and noise. The even distribution of heat that the pump is famous for will go a long way to ensuring that you are comfortable in any environment where the heat pump is a fixture. The pump is also known to last for a long time and you will be unlikely to have any significant problems in terms of its durability. The Bryant Evolution System Heat Pump is known for having efficiency ratings of up to 19 SEER and up to 9.5 HSPF. These are ratings that you will not find form most similar heat pumps, so they are, indeed, very significant. The Evolution System also comes with a 10 year limited parts warranty if registered within the allocated 90 days. 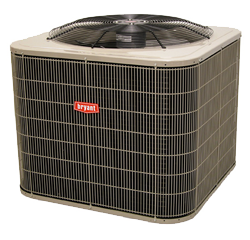 This heat pump also meets the energy requirements set out by ENERGY STAR for efficiency. This unit performs at a low sound level, as low as 72 dB. The Evolution System supports the Evolution Control thermostat which is Bryant’s top of the range thermostat designed for ease of use. The Evolution Control thermostat also features enhanced diagnostics. These controls represent some of the latest technology in this domain and will therefore be highly efficient to use in your home or elsewhere. Puron refrigerant – which is designed not to harm the earth’s ozone layer. 2-stage scroll compressor – which function in a circular motion for better efficiency. Features a heating capacity of 3 – 5 tons and a cooling capacity of 3 – 5 tons. In addition to being advanced technologically this is a heat pump that also looks reasonably attractive in most settings, adding to its appeal. Superior protection with DuraGuard Plus – this is a Bryant innovation for protecting your outdoor unit from bad weather and increases durability at the same time. Constructed out of steel for longer lasting, and powder coated for added protection. Offers the DuraFlow Coil Guard Design. Color matched cabinet screws for aesthetic appeal. The three Bryant Evolution System Heat Pump models that are offered, namely 289B, 286B, 285B, come with a 10-year parts limited warranty upon registration. The product must be registered by the homeowner within 90 days of having the product installed in order for the warranty to apply. As warranties frequently indicate to what degree a manufacturer has confidence in its product, this warranty may serve as an indication that this particular heat pump option is one of the better options currently available on the market and that it should be considered at the top of your list when looking for a heat pump.